In January, AJWS’s Global Justice Fellows traveled to Guatemala for an immersive lesson in moral courage and activism. This cohort of 15 rabbis passionate about social justice met with many AJWS grantees—from journalists and midwives, to attorneys and human rights defenders—who are leading movements to curb corruption, create a free press, advance women’s rights, and seek justice for survivors of human rights abuses. They were joined by AJWS’s Global Ambassador, Ruth Messinger, who shared her expertise on international advocacy and moral leadership. 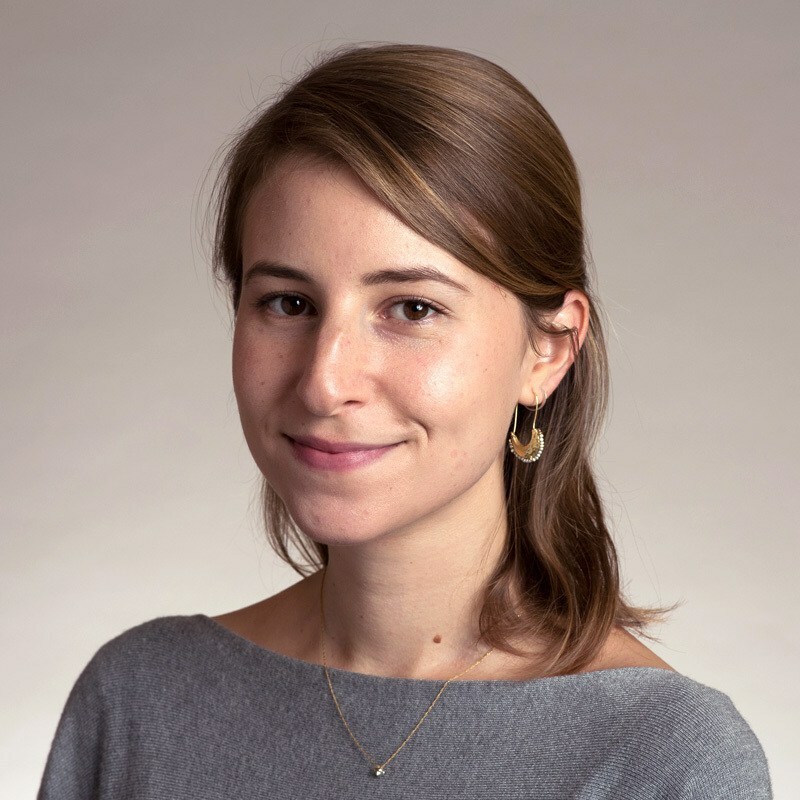 The journey was the centerpiece of AJWS’s six-month fellowship, which is designed to inspire and train American rabbis to lead their communities in advocating for human rights around the world. 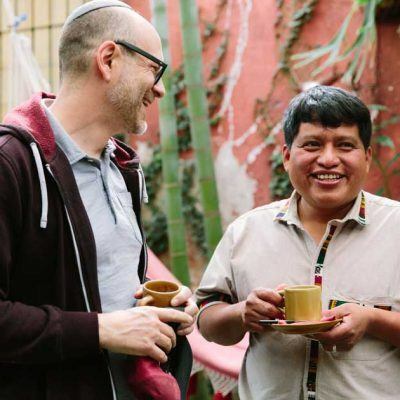 Across Guatemala, the rabbis bore witness to stories of remarkable resistance and resilience that have moved them to return to their pulpits and organizations ready to lead for change. In the coming months, they will mobilize their communities and lobby Congress to advance U.S. policies that positively affect the lives of vulnerable people in Guatemala and around the world. All photos by Christine Han Photography. Global Justice Fellows and AJWS staff in Antigua, Guatemala. Rabbi Susan Talve presents a token of gratitude to Edgar Perez and Wendy Maldonado, leading human rights lawyers and directors of AJWS grantee Bufete Juridico de Derechos Humanos. Bufete’s attorneys provide pro-bono legal representation to activists who have suffered human rights abuses. Rabbi Dean Shapiro (left) poses with leaders of indigenous communities that are being forcefully displaced from their ancestral lands, often to make way for multinational mining and energy corporations. Bufete Juridico de Derechos Humanos is representing these communities in Guatemala’s courts to win back their lands and guarantee their rights to retain them. Rabbi Michael Rothbaum offers thanks to AJWS grantee Bufete Juridico de Derechos Humanos, whose lawyers are working to defend indigenous activists fighting to retain their ancestral lands. Rabbi Philip Rice (left) and Rabbi Adam Baldachin in an interactive exhibit at Casa de la Memoria, a museum dedicated to remembering human rights abuses perpetrated against indigenous people throughout Guatemalan history. AJWS’s grantees in the country work to combat the corruption and impunity that have allowed these abuses to continue. Rabbi Adam Baldachin listens to the story of a member of AJWS grantee Nuevo Horizonte, a cooperative of indigenous women working to promote women’s participation in politics and public decision-making. Rabbi Jill Perlman (center) shares a reflection and poses a question to leaders of the indigenous women's cooperative, Nuevo Horizonte. Rabbi Rachel Kahn-Troster presents an AJWS plaque of gratitude to leaders of Prensa Comunitaria, a cooperative of independent journalists that strives to build a free press in Guatemala by reporting on the stories that the country’s official media censors and suppresses. Rabbi David Wirtschafter (right) thanks head journalists of Prensa Comunitaria for their work to bring about freedom of press in Guatemala, a country plagued by staggering government censorship. Rabbi Eve Posen stands with a lead correspondent from Prensa Comunitaria. Prensa’s reporting has played an elemental role in breaking stories that expose Guatemala’s rampant corruption, perpetrated by government officials and business elites alike. Rabbi Barbara Penzner (center) and Guatemalan midwives in Quetzaltenango, Guatemala. With support from AJWS, these midwives—part of a collective called CODECOT—provide maternal care to indigenous women in northern Guatemala and advocate for better health services for the entire indigenous community. Rabbi Jessica Zimmerman Graf shares a laugh with a leader of the CODECOT midwives’ collective. Rabbi Sharyn Henry embraces midwives from CODECOT, who work day after day—often with little to no pay—to provide quality care to indigenous women and their families throughout rural Guatemala. Rabbi Eric Solomon presents CODECOT’s midwives with a token of appreciation for welcoming the Global Justice Fellows. Rabbi Aderet Drucker poses with one of the directors of CODECOT. For indigenous women in Guatemala, accessing maternal care in overcrowded and underserved public hospitals can be nearly impossible. That’s why CODECOT’s work to offer low-cost, skilled healthcare services to women and children is so vital, particularly in rural communities. Rabbi Michael Knopf presents a plaque of gratitude to Jorge Santos, director of UDEFEGUA, an AJWS grantee that supports human rights defenders in Guatemala who face criminalization and violence for fighting for justice in their country.